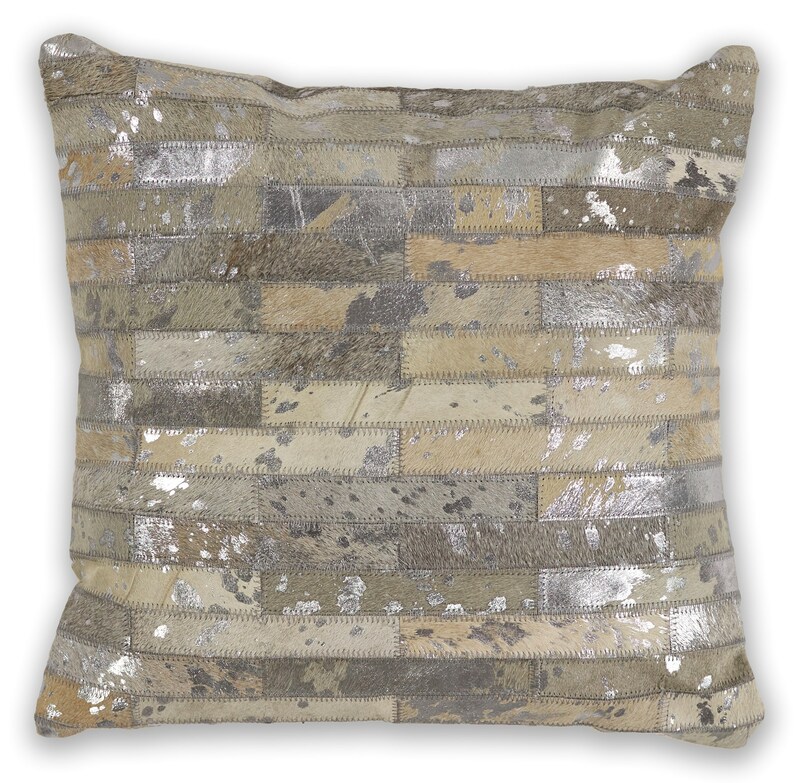 L331 Grey Elements 18" x 18" Pillow. 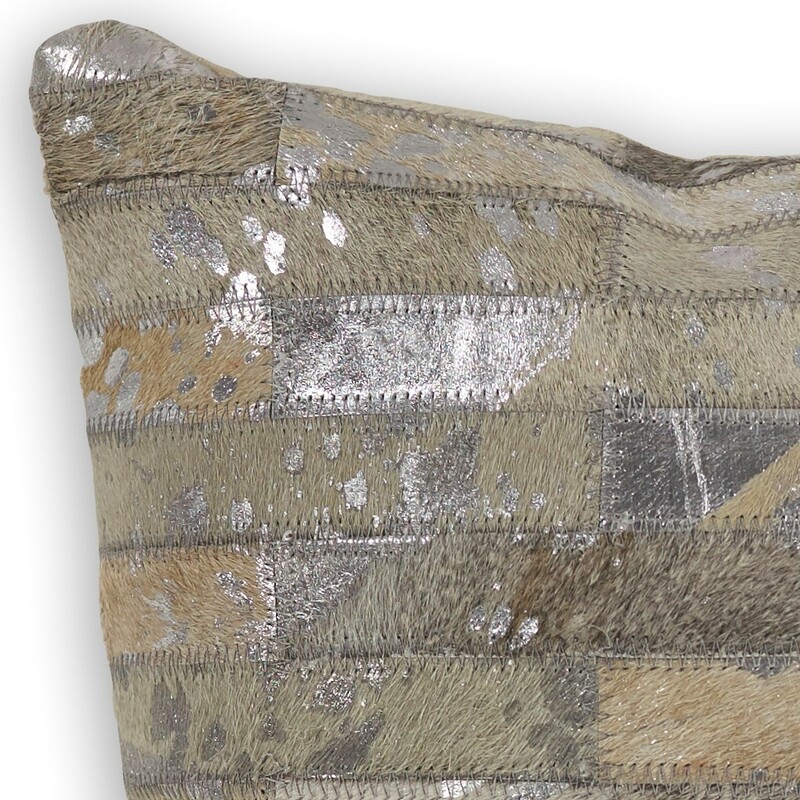 Handmade of 100% Leather Patchwork with Foil Printed overlay with Poly EPS Pellet Fill . Made in India. Spot Clean Stains.